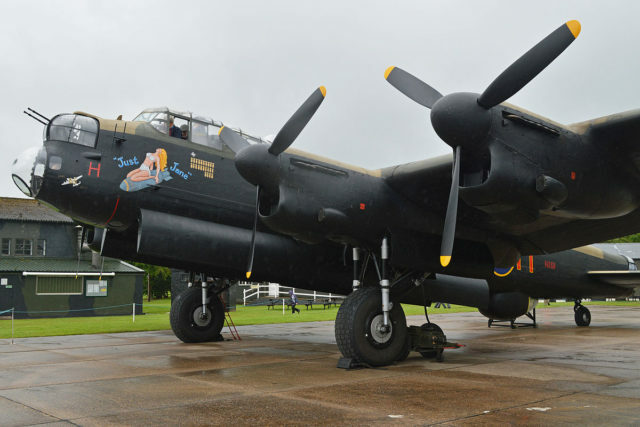 Thousands of people driving the A46 road in Lincolnshire, England, will one day be able to catch a glimpse of a Lancaster Bomber, one of the planes the Royal Air Force (RAF) used in World War II. A campaign is underway to raise funds to get the life-sized model “off the ground,” so to speak. 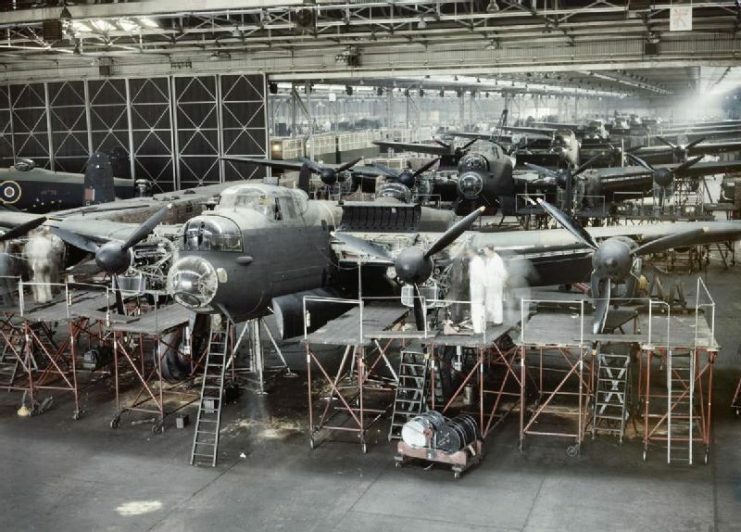 Project organizers hope it will remind folks of Britain’s remarkable aviation history and encourage them to take pride in the RAF’s role in defeating the Germans during the war. Once complete, the sculpture will be seen by as many as 34,000 motorists each day. Currently, ground has been broken at the site, but there is much work that remains to be done before the model bomber is complete. Though individuals and local businesses have contributed funds to the project, more needs to be raised. 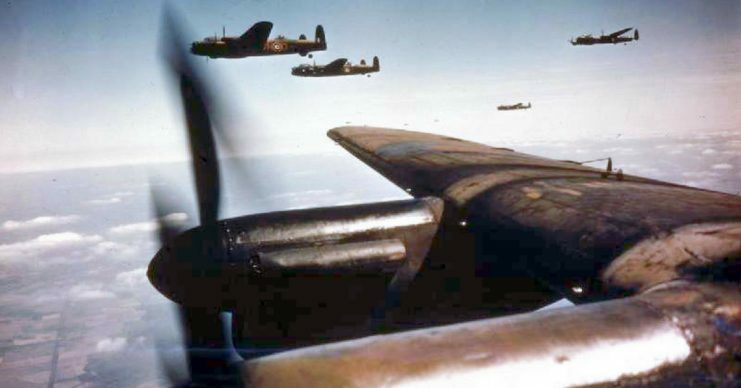 Avro Lancasters of No 50 Squadron, Royal Air Force (No 5 Group). The steel sculpture is expected to look as though it is in mid-flight, cleverly suspended above the ground. One remarkable individual who is wholeheartedly behind the project is veteran airman George “Johnny” Johnson. 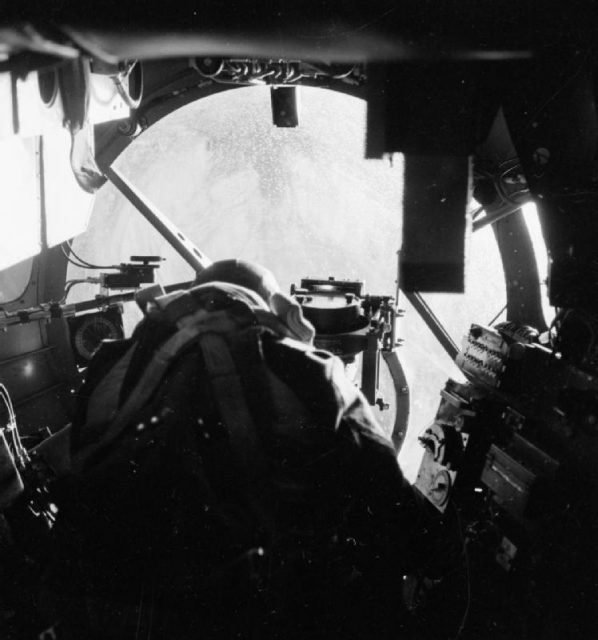 He was part of a Lancaster Bomber’s crew during the war. He signed up with the RAF in 1940 and told the Post that, “The Lancaster Bomber was, in my opinion, the finest bomber of World War II. 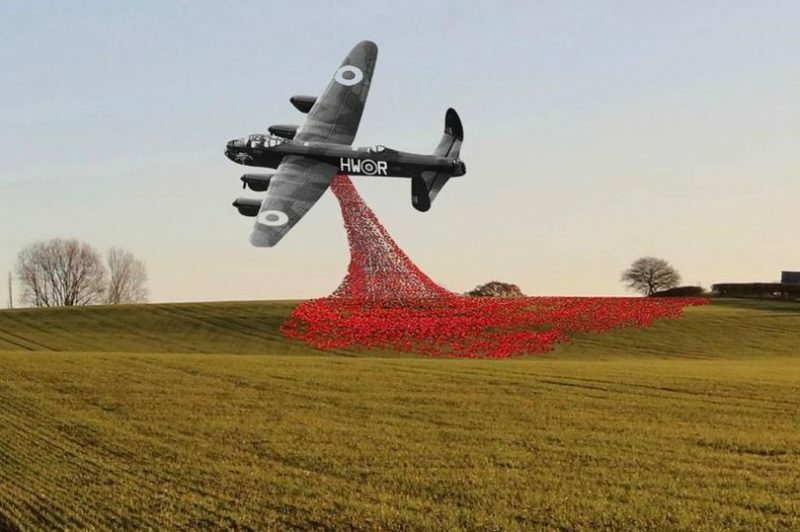 This sculpture will be recognized as a symbol of sacrifice made by nearly 58,000 men and women who served with Bomber Command. Apparently, it does, because the local council has committed money to the project. One counselor noted that it is bound to become “an iconic landmark” that will help everyone realize and remember the crucial role the RAF played in helping Great Britain defeat Germany. But at least £150,000 GBP are still needed to see the sculpture come to fruition, even after the donations made by citizens, councils, and businesses. Yet Sadler remains confident that the project will be finished by November or December of this year. “This will, hopefully, be a very special landmark, with nothing else like it in the East Midlands” region of England. Three Avro Lancaster B.Is of No. 44 Squadron, Royal Air Force, based at Waddington, Lincolnshire (UK), flying above the clouds. The sculpture is primarily meant to herald the RAF’s links to the area, but it will also serve as a tribute, of sorts. 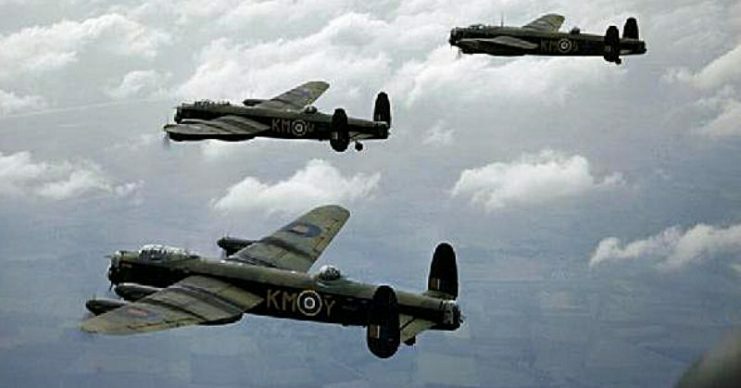 A Lancaster Bomber went down close to the site’s location in 1942, after returning from a wartime mission in the Baltic Sea. Seven airmen died. The project is one more in a long list of tributes, memorials, and plaques designed primarily by citizens, but endorsed by local governments, in recognition of the huge efforts of the RAF to win in the protracted battle with Nazi Germany. 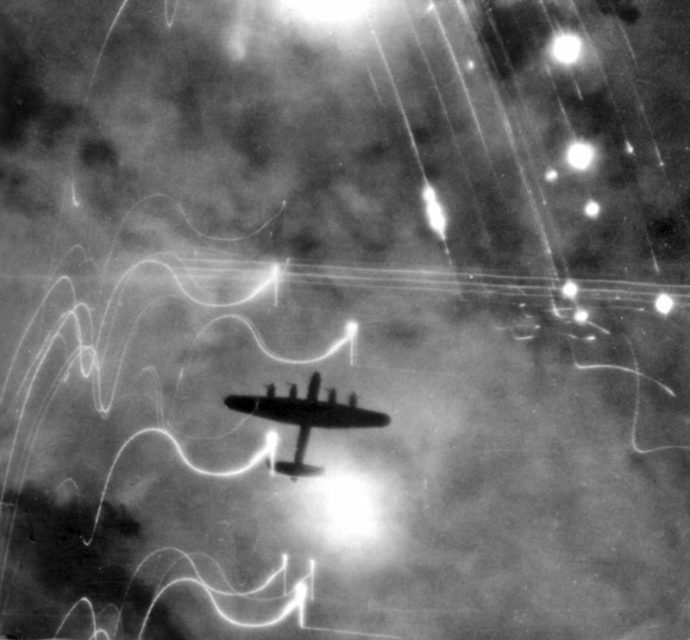 The country spent six years at war, but with the help of the RAF, saw its enemy resoundingly defeated.